When it comes to barbecue, not everything has to be slathered in sauce. Try these simple meal substitutes to soak in summer while staying trim. If you're on a mission to eat healthy this summer and maintain your six-pack, all those barbecues you plan to attend could be your biggest threat, unless you plan carefully. Depending on how you barbecue, the event can either push you toward your body composition goals or leave you scrambling behind, watching the fat pile on faster than ever. Barbecuing is a lean way of cooking, since the fat will drip right off the grill. It's all about choosing the right foods in the first place. With a few simple and painless swaps, you can easily save yourself 1,000 calories or more. Still unsure about turning down that side of sauce-slathered ribs? Give these seven painless swaps a try, and you'll be passing on the pig in no time. One of the worst offenders without question this barbecue season is the ubiquitous hot dog. While it may have been a tasty snack when you were 8, as a full grown adult, it's time to leave this one behind. Hot dogs rank as one of the lowest-quality sources of protein out there and contain more filler than anything else. In fact, one hotdog contains a measly 7 grams of protein—less than a cup of peas1. Instead, opt for a grilled shrimp skewer. Shrimp is an excellent source of iron, virtually fat free, and high in quality protein. In fact, just 6 oz. of shrimp contain 34 grams of protein2. Add a few vegetables onto your skewer, and you'll get a good dose of antioxidants as well. You Save: 200-300 calories, depending on the hot dog being swapped out. If beef is your thing, you're likely first in line for a handcrafted burger straight from the grill. Truth is, while it's a slightly better option than a QPC from the golden arches, that lean ground beef patty is still by no means ideal. Instead, go for a grilled chicken breast. According to a study by the Harvard School of Public Health, replacing one serving of red meat with one serving of poultry per day was linked to a 14 percent lower mortality risk. Chicken breast is hard to beat in terms of nutritional quality3. One serving packs in 25 grams of protein along with essential vitamins E, B6, B12, limited fat, and no carbs4. Plus, it's so versatile that you can use almost any marinade or spice as you prepare it. The flavor opportunities are nearly unlimited. You Save: 150-200 calories, depending on the burger variety. Nothing screams summer like potato salad … but nothing spells weight gain as fast either. Unless you've labored over that potato salad yourself, you should assume it will be loaded with enough high-fat mayonnaise to clog your arteries and dash your six-pack dreams. Potatoes are a decent source of carbohydrates, but you can one-up the russet with a sweet potato substitute. Aside from the added fiber and vitamin A, its natural sweetness will make toppings unnecessary5. 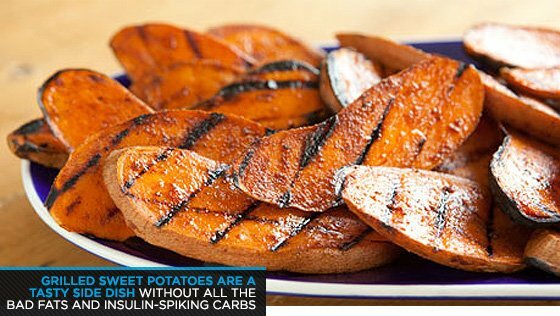 Grill up some sweet potato slices brushed with olive oil and a dash of your favorite spice, and you'll have a tasty side dish without all the bad fats and insulin-spiking carbs. You Save: 200-250 calories (for one cup potato salad versus one small sweet potato). If your host is taking the lazy route on side dishes, you may find yourself face-to-face with a bowl of chips along with high-fat dip. Stop! Not a smart move if you want to keep your lean body intact. Instead, opt for healthy fats. 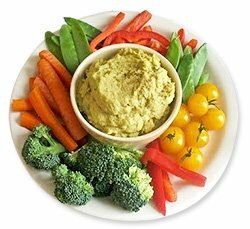 A smarter and still easy side dish of raw vegetables and hummus packs in fiber, protein, and heart healthy monosaturated fats—all while meeting the criteria for fingerfood6. Pair this with your lean source of protein for a picture-perfect barbecue meal. What this swap lacks in calorie savings, it makes up for in nutrition. If you make a wise selection and go for grass-fed rather than grain-fed beef, you'll take in some healthy CLA fatty acids to fuel fat burning, aid in the building and retention of lean muscle, and help fight cancer7. 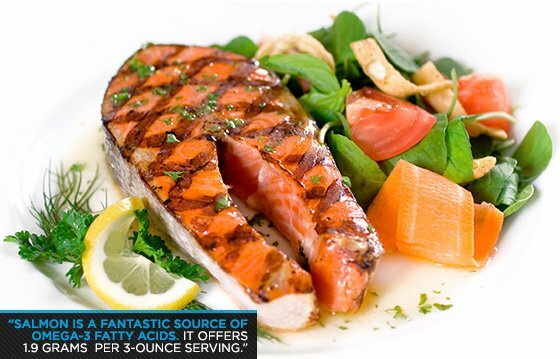 But, if you choose salmon, you're even better off. Along with being a top-notch source of protein, salmon is a fantastic source of omega-3 fatty acids—offering up 1.9 grams per 3-ounce serving8. Omega fatty acids offer a wealth of health benefits including improving brain function, enhancing insulin sensitivity, reducing your risk of cardiovascular disease and cancer, and keeping your immune system strong. Bag the bun. Regardless of what type of meat you're having, if you're tempted to put it on a bun, think again. Not only is that bun made up of wheat—which causes many people digestive issues—but as a relatively refined carb, it's going to spike insulin levels. Instead of going bunless (and carbless), opt for corn on the cob. The corn will provide you with a good dose of dietary fiber, vitamin B6, magnesium, and Vitamin C, as well as a small dose of iron. Plus, once you try it grilled (leave it in the husk), you'll never boil a cob again! You Save: 30-40 calories, depending on the bun size. To finish off the meal, you'll likely be craving something sweet. Rather than going in for a bowl of decadent ice cream, reach for refreshing fruit salad. 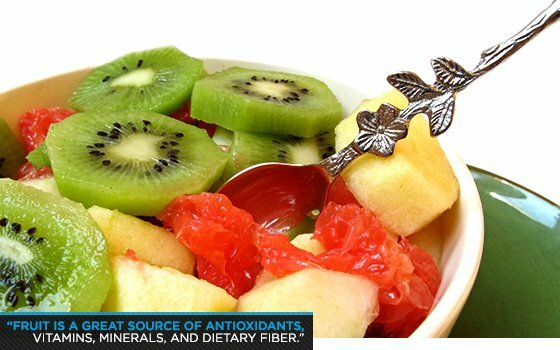 Fruit is a great source of antioxidants, vitamins, minerals, and dietary fiber. With so many seasonal varieties, there's no shortage of options to be had. The antioxidants in blueberries, the dose of vitamin C in cherries, and the potassium in bananas will surpass that saturated-fat-packed ice cream in both nutrition and taste. You Save: 250 calories or more, per cup of ice cream versus cup of berries. Fat Secret (nutrition facts): Green peas. Fat Secret (nutrition facts): Generic shrimp. Harvard School of Public Health Study "Red Meat Consumption and Mortality." Fat Secret (nutritional facts): Chicken breast. Fat Secret (nutritional facts): Sweet potato. Livestrong article: "What are the benefits of hummus?" Hajoway, Mike. Bodybuilding.com article: "A Look At What Conjugated Linoleic Acid Can Do For You!" Salmon of the Americas website (USDA chart).